22 000 en vue ? Même s'il fait très chaud, restez couverts ! combien de fois pensez-vous que l'indice US a terminé à l'équilibre ce dernier mois ? et c'est ça le coeur de l'économie mondiale ! 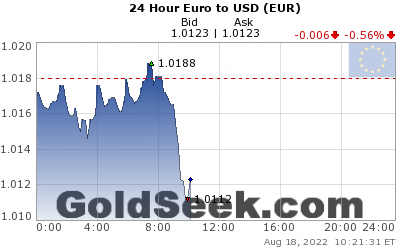 One minute after 4am EDT, as the European market was warming up for trading, Gold suddenly plunged $12, or 1%, to $1,242 an ounce, on a surge in volume with 18k contracts, or just over $2 billion notional, trading in a one-minute window; as of 9:20am London, volumes running around 150% of recent averages. 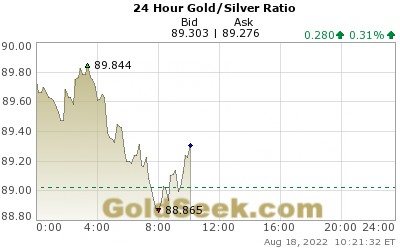 As so often happens, the gold plunge dragged silver down with it as well. A better chart of the move comes courtesy of Nanex which shows how the sudden selling soaked up all the liquidity in the gold market in seconds, with the clear intention of repricing gold lower. With no clear driver for the move, Bloomberg has suggested it may be a "fat-finger" mistake, although many are skeptical and see either algo or central bank intervention, as the gold plunge was offset by the usual USDJPY spike, which jumped as high as 0.35% to Y111.66. The sharp move in gold sent Treasurys to session lows as the "unexplained drop" in gold pushes the dollar index to session high. Quant on prends 10$ avec 30000 contrats, c'est tous les mois.